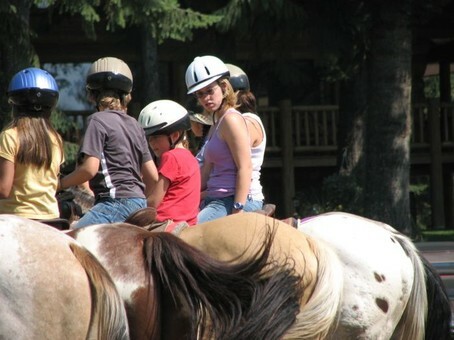 Kids staying with family at the ranch on our All Inclusive Package have the opportunity to be involved in one of the most educational and fun dude ranch childrens program available today. This program is designed for kids age 8 – 18. 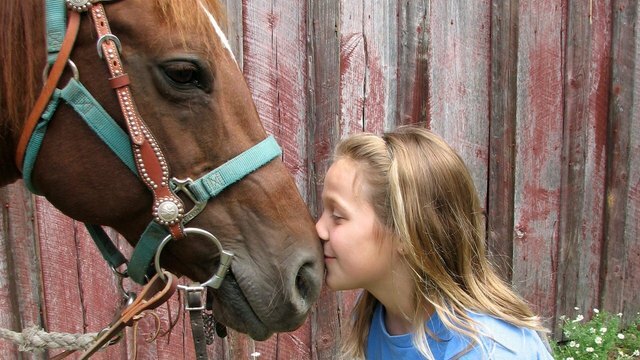 Hands on experiences with their horse is the centerpiece of this program. 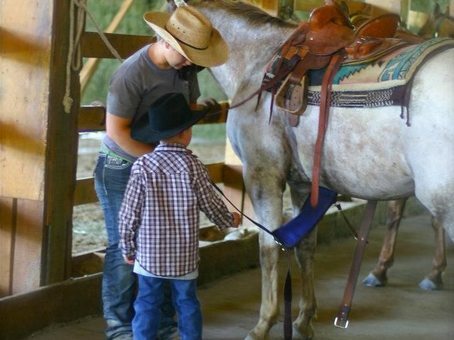 Before arriving at the ranch, children will receive our ranch’s horsemanship manual to help expand their learning experience. The program starts on Sunday evening and is concluded on Thursday evening with a horse show, complete with trophies and ribbons. 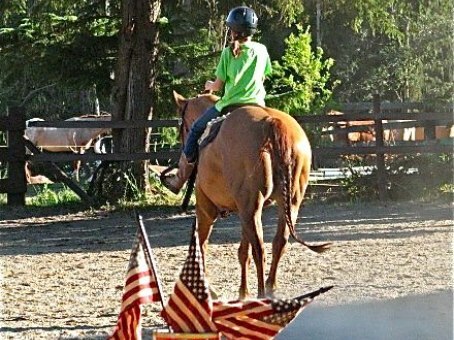 Children will be responsible for their own horse and equipment. 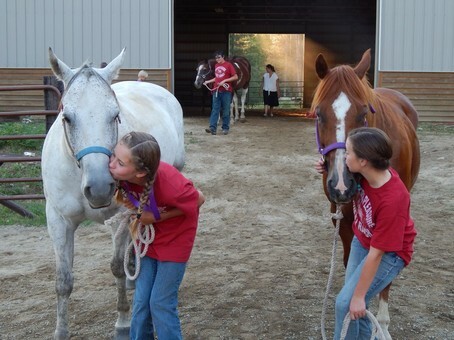 They learn horse husbandry skills and equipment care. Every morning they will help prepare their horse for the day’s activities. 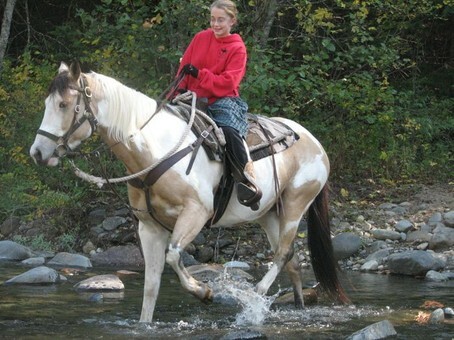 Free time Second riding session – continue skills lesson and go on short trail ride. 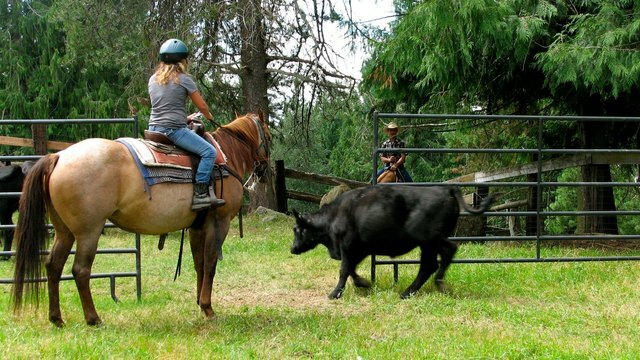 Participate in ranch activities with adults.